A Taste of Africa …come join us! You’re Invited This event is FREE but space is limited! A Taste of Africa …Join us for a presentation with African Travel that explores the dazzling sights, sounds, scents and flavors of Africa. 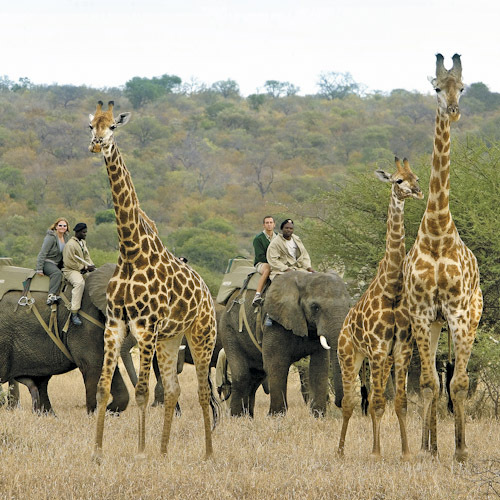 Discover travel options that provide intimate access to abundant wildlife that you’ll find no other place on earth, grand landscapes that can make even an elephant look small, and welcoming people proudly sharing their fascinating culture. Penn State Ph.D. candidate Matt Branch recently embarked on a journey to better understand a potentially unique approach to environmental governance. In December, Branch traveled to Bhutan, a tiny Buddhist kingdom nestled in the eastern Himalayas, to research environmental governance in the country. Bhutan has gained important international attention for developing a concept called “Gross National Happiness,” or GNH, which is an alternative to mainstream development models oriented toward GDP, or Gross Domestic Product. The concept was born in the 1970s by the fourth king of Bhutan, in response to criticisms that Bhutan’s GDP wasn’t growing rapidly enough. The king stated that he was more concerned with the well-being of his citizens than simply increasing the country’s economy. The concept has gained quite a bit of traction since then. Bhutan has transformed GNH from a broad guiding principle to a quantitative metric that involves intensive national surveys that aim to understand the population’s happiness levels and what the government can do to improve them. Originally understood to have four pillars, good governance, sustainable economy, a healthy natural environment, and cultural preservation, GNH has since evolved to have 72 empirical indicators. In 2008, Bhutan crowned a new king and completed its transformation to a parliamentary monarchy, holding its first democratic elections. Thus, the country is at an interesting crossroads, as GNH will undoubtedly change with the shift in government. The week of Semana Santa (“Holy Week”) is considered the most important cultural and religious event in all of Guatemala. Semana Santa has a long, rich history, which began over 400 years ago as Catholicism spread throughout Guatemala due to the Spanish Conquistadors. Today, Semana Santa can be viewed throughout all of Guatemala, however, there is no city more important during this sacred week than Antigua. It can be argued that Antigua has perhaps the largest, most traditional and famous Holy Weeks in the world. Thousands of tourists flock to Antigua during Semana Santa to witness the spectacular religious processions, alfombras (“carpets”), fabulous floats and vigils. It is said to be an experience of a lifetime. Tagged Antigua, culture, Guatemala, Holidays, holy week, religion, semana santa, thirdeyemom, TRAVEL BY COUNTRY, Travel by thirdeyemom.